Yay! Boring upload tonight. 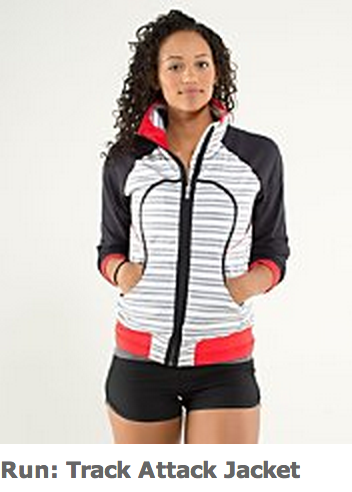 The Run: Track Attack Jacket in Twin Stripe/Black/Love Red is cute, but a bit pricey perhaps? I’d have to see it in person to decide, if it has all the features lulu Run Jackets of yore had then it would probably be priced correctly. What did you guys order tonight? Glad for a boring upload after last weeks busy one? Tempted to get these Twin Striped Track attack shorts or the Spry Blue ones instead of the solid black ones I got. 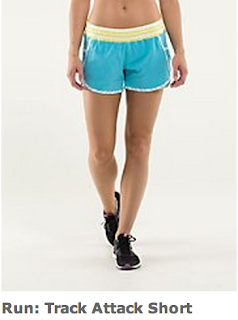 "More Of The Latest: Track Attack Skirts, Track and Train Tank and More"
"The Latest: Run: Track Attack Shorts, Track Attack Skirt, Swiftly LS"